When refugees are not able to return home and have no prospects of integrating into their current country of asylum, resettlement in another country is a solution that offers protection to those who are particularly vulnerable or whose life, liberty, safety, health or fundamental human rights are at risk. Resettlement is also an international responsibility that helps relieve pressure on countries which are providing asylum to large numbers of refugees. International sponsorship can also serve to reunite families that have been torn apart by conflict. Canada has experience and expertise in resettling large groups of refugees. What difference can Canada make? Resettlement in a country like Canada is a limited safety valve. Fewer than 1% of Syria’s refugees will ever get a chance to be resettled overseas. But those who do are usually the most vulnerable and/or the most likely to succeed in their new homes thanks to the presence of Canadian relatives and friends. By providing a legal escape route for refugees, Canada can help reduce the number of desperate people who resort to smugglers and deadly boat crossings of the Mediterranean Sea. A relatively small commitment by wealthy states like Canada can ease the strain on host communities in the Middle East and will encourage neighbouring states to continue to keep their borders open to Syrians who need to flee conflict at home. Refugee families resettled and established in Canada can also aid the process of reconciliation and rebuilding in Syria once the conflict there ends. 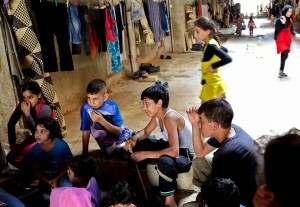 Families in Canada will ultimately send remittances to family back home and rebuild the capacity of Syrians to recover. Resettlement will not end the war. But it can rescue some of its most vulnerable. It gives them a chance to start over and rebuild their lives. We can protect Canada’s national security interests by simply giving Syrians hope for a better future. Does religion play a role in refugee sponsorship? No. Many Sponsorship Agreement Holders (SAHs) are affiliated with religious organizations in Canada. But they offer protection to refugees solely on the basis of humanitarian need and have a long track record of offering help to people of all faiths. Sponsors do not engage in any form of religious proselytizing and seek only to assist families in settling in Canada. It is a long tradition in Canada that refugees are selected for resettlement solely on the basis of need. Refugees are identified through registration data and community outreach programs conducted overseas by the United Nations High Commissioner for Refugees and its partners. Is there a security risk with refugee resettlement? UNHCR criteria give priority to vulnerable groups such as women at risk, children, survivors of trauma or torture, refugees at heightened risk of sexual violence or exploitation and refugees who require resettlement to ensure family unity. Refugees approved for resettlement have undergone a rigorous security screening by both the United Nations High Commissioner for Refugees and the Government of Canada before being accepted. No existing security protocols will be compromised. Canada conducts its own security checks and also takes into consideration any anchor relatives or sponsors in Canada. Will they be able to integrate? Studies have shown that sponsored refugees benefit from the networks of their sponsors, find work quickly and match or outperform other immigrant groups. Newcomers tend to be hard-working and committed to self-sufficiency. Many also end up running their own businesses and contributing to Canadian society in numerous other ways as well.